Kodansha Ltd. (株式会社講談社, Kabushiki-gaisha Kōdansha) is a Japanese publishing company headquartered in Bunkyō, Tokyo, Japan. Kodansha is the largest Japanese publishing company, and it produces the manga magazines Nakayoshi, Afternoon, Evening, and Weekly Shōnen Magazine, as well as more literary magazines such as Gunzō, Shūkan Gendai, and the Japanese dictionary Nihongo Daijiten. Kodansha was founded by Seiji Noma in 1909, and members of his family continue as its owners. Seiji Noma founded Kodansha in 1909 as a spin-off of the Dai-Nippon Yūbenkai (Greater Japan Oratorical Society) and produced the literary magazine Yūben as its first publication. The name Kodansha (taken from "Kōdan Club," a now defunct magazine published by the company) originated in 1911 when the publisher formally merged with the Dai-Nippon Yūbenkai. The company has used its current legal name since 1958. It uses the motto "omoshirokute, tame ni naru" (面白くて、ためになる, "To be interesting and beneficial"). Kodansha Limited owns the Otowa Group, which manages subsidiary companies such as King Records (official name: King Record Co., Ltd.) and Kobunsha, and publishes Nikkan Gendai, a daily tabloid. It also has close ties with The Walt Disney Company, and officially sponsors Tokyo Disneyland. Kodansha sponsors the prestigious Kodansha Manga Award, which has run since 1977 (and since 1960 under other names). Kodansha's headquarters in Tokyo once housed Noma Dōjō, a kendo practice-hall established by Seiji Noma in 1925. The hall was demolished in November 2007, however, and replaced with a dōjō in a new building nearby. The company announced that it was closing its English-language publishing house, Kodansha International, at the end of April 2011. Their American publishing house, Kodansha USA, will remain in operation. Kodansha USA began issuing new publications under the head administrator of the international branch Kentaro Tsugumi, starting in September 2012 with a hardcover release of The Spirit of Aikido. Many of Kodansha USA's older titles have been reprinted. According to Daniel Mani of Kodansha USA, Inc., "Though we did stopped [sic] publishing new books for about a year starting from late 2011, we did continue to sell most of our older title throughout that period (so Kodansha USA never actually closed)." In October 2016, Kodansha acquired publisher Ichijinsha and turned the company into its wholly owned subsidiary. The Kodansha company holds ownership in various broadcasting companies in Japan. It also holds shares in Nippon Cultural Broadcasting, along with Kobunsha. 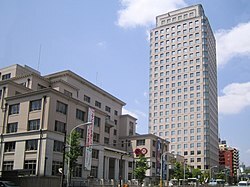 In the 2005 takeover-war for Nippon Broadcasting System between Livedoor and Fuji TV, Kodansha supported Fuji TV by selling its stock to Fuji TV. Kodansha has a somewhat complicated relationship with Nippon Hoso Kyokai (NHK), Japan's public broadcaster. Many of the manga and novels published by Kodansha have spawned anime adaptations. Animation such as Cardcaptor Sakura aired in NHK's Eisei Anime Gekijō time-slot, and Kodansha published a companion-magazine to the NHK children's show Okāsan to Issho. The two companies often clash editorially, however. The October 2000 issue of Gendai accused NHK of staging footage used in a news report in 1997 on dynamite fishing in Indonesia. NHK sued Kodansha in the Tokyo District Court, which ordered Kodansha to publish a retraction and to pay ¥4 million in damages. Kodansha appealed the decision, and reached a settlement where it had to issue only a partial retraction, and to pay no damages. Gendai's sister magazine Shūkan Gendai nonetheless published an article which probed further into the staged-footage controversy which has dogged NHK. Japan Foundation: Japan Foundation Special Prize, 1994. This is a list of the manga magazines published by Kodansha according to their 2012 Company Profile (page 4). ^ "Company Overview Archived 2011-04-26 at the Wayback Machine." Kodansha. Retrieved on April 5, 2011. "Address: 12-21, Otowa 2-chome, Bunkyo-ku, Tokyo 112-8001, Japan"
^ Kamiya, Setsuko and Mizuho Aoki, "Kodansha International to close doors", Japan Times, 4 March 2011, p. 1. ^ "Kodansha Acquires Ichijinsha, Makes It Into Subsidiary Company". Anime News Network. ^ "NHK インドネシア「爆弾漁法」". Engei.s17.xrea.com. Retrieved 2012-08-13. ^ NACSIS Webcat: 詳細表示. Retrieved on March 15, 2010. Wikimedia Commons has media related to Kodansha.